Second charge mortgages on rental investment properties. A Second Charge mortgage is a great solution for clients that need to raise capital. As a secured loan that releases property equity, it offers an alternative to first charge further advances or remortgages. This can be useful in situations either where first charge options are unavailable because of borrower or property circumstances, or where the first charge route may not be appropriate, such as with large Early Repayment Charges on their current mortgage. West One are a Second Charge mortgage lender offering Second Charge mortgages that can be secured on both residential and Buy-to-Let properties. Our Residential Second Charge product range is for second charge loans secured on a client's home. Our Buy-to-Let Second Charge product range is for loans secured on rental investment properties, including consumer BTL for 'accidental' landlords. If you are interested in one of our second charge mortgages, these can currently be accessed via selected Master Broker partners. Contact us for more information or register your interest. 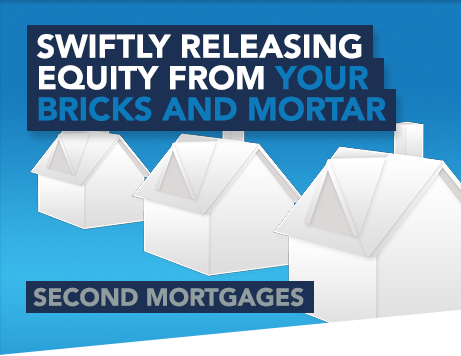 Residential Second Charge mortgages allow borrowers to release equity from their own homes. West One offers an extensive range of Second Charge mortgage solutions, built on our strong reputation for taking time to understand individual borrower’s needs, and combined with an in-depth understanding of the second charge mortgage market. This means we can cater for borrowers who require a bespoke approach to lending, such as the self-employed, older borrowers and those with less-than-perfect credit histories. We have 3 tiers of residential Second Charge mortgage plans available, depending on your client's credit health, with a dedicated series of plans for self-employed borrowers. Buy-to-Let Second Charge mortgages offer landlords an alternative to remortgages or further advances, if they want to release equity from their rental investment properties. This can be to help fund new property acquisitions, pay for renovations or just fund other needs. West One offers an extensive range of Second Charge mortgage solutions that can be secured on Buy-to-Let properties, including unregulated Buy-to-Lets as well as regulated consumer Buy-to-Lets. This range is built on our strong reputation for taking time to understand individual borrower’s needs, so we can cater for borrowers who require a bespoke approach to lending, such as professional landlords with large portfolios or those with less-than-perfect credit histories.